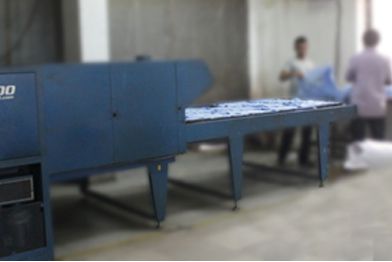 Situated in Noida, near Delhi, we have provided India and outside business with high quality screen printing jobs for over 35 years. 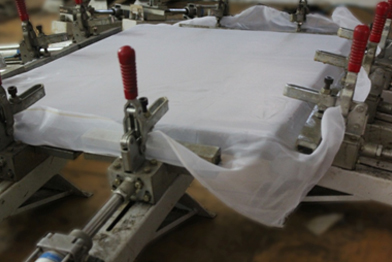 The expertise of our extremely knowledgeable team allows us to successfully undertake textile printing jobs on almost all kind of fabrics. We have carved a place in the market, cutting above the grueling competition, providing valuable designing and services covering various aspects in the segment. 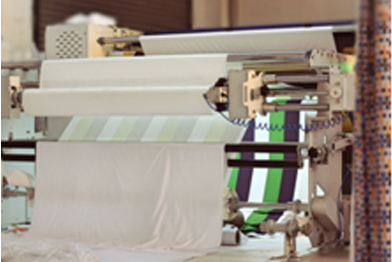 We strive to achieve the shortest lead times from receipt of artwork to printed fabric, with all the processes structured in-house, our strengths are unmatched in the industry. 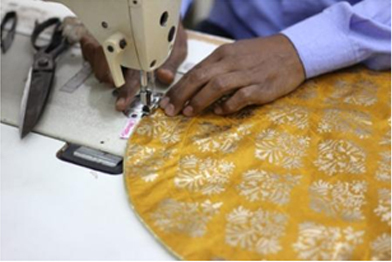 We took up the challenge of diversifying our textile activities and started to produce Home furnishing products under the brand name MEZZO. We retail and export our products to India and Europe. 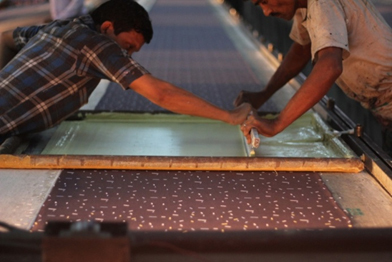 In our premises, each job is treated individually with respect to its own character. With a top of the line printing technology combined with our legendary skills, we deliver printing to meet your expectations and deadlines. 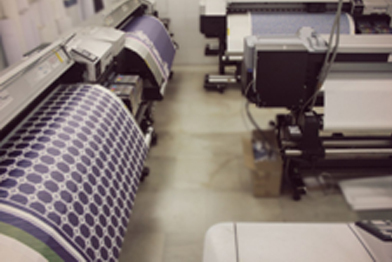 If we haven't had the opportunity of working with you, it would be our pleasure in undertaking your next printing job. We are confident that our attention to quality and service will result in a long term relationship. 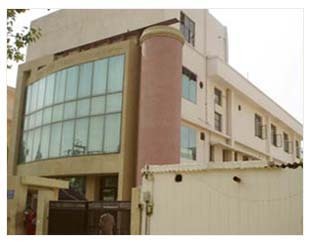 The company commenced its operations in 1980 and has been growing ever since. Initially we started with plastisols, limiting our work area, then gradually with time, expertise and experience we started using water based inks which opened up global markets. 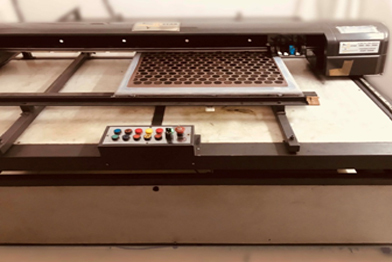 We introduced the challenger an automatic printing machine which bought about the convenience of printing on ready T-shirts, semi stitched garments and panels. Multicolor and high precision prints done by the machine at a phenomenal speed revolutionized the way we carried out our printing jobs. In addition we also introduced sublimation printing. 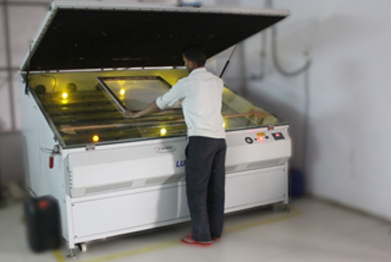 Our belief and endeavor to give perfection and satisfaction to each job was enhanced by the introduction of more state of the art machines namely the terminator, Epson Dye-Sub printers and the Sportsman. Since then we have been growing our production volumes and have indeed come a long way. Our team promises to deliver the best of quality on time, every time. We offer a unique business proportion to your firm which besides adding value to your business will provide you competence and an advance technical edge over others. 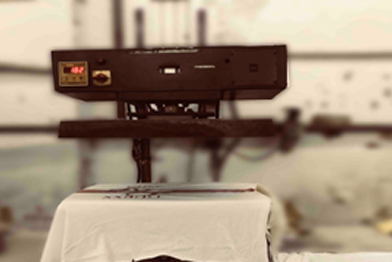 We specialize in the screen printing process and state of the art machines and screens have enabled us to produce faster and with better quality. We assure you our best of products and services. We firmly believe in supporting and protecting the health, safety, welfare, security and dignity of each worker on our projects. Ethical recruitment and employment practices, safe work practices, as well as safe and healthy living and working conditions are critical elements to delivering our work. We recognize that welfare arrangements and quality facilities not only improve workers’ health and well-being but also enhance performance, efficiency, and health and safety compliance. Such conditions are also essential to our mission of helping clients build a better and more sustainable world. •	We are GOTS certified and are nominated suppliers to HnM, M&S and Disney.